Dance classes would be held by a Grand Stage Dance instructor and choreographer Anahit Ijalyan. Anahit is a graduate of Yerevan’s National Ballet School, in addition to having earned a four year degree in both pedagogical studies and theatrical arts. She has a unique combination of experience in both dance and education that make her style of teaching dance to/with young children fun, natural, and effective. 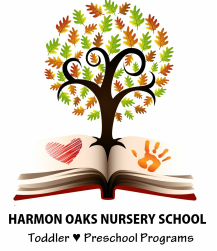 At Harmon Oaks, we’d like to offer world dance and beginning ballet classes for Blossoms and Bloomers, with a mini class for our Sprouts and possibly Seedlets (only during Spring & Summer sessions). We’d keep class costs at a minimal, much lower than public rates just as we do with Soccer Shots. Harmon Oaks does not profit from running outside vendor sessions. Our goal is to offer what parents and children are interested in and may not have the time/ means to engage in outside of our day to day routines and responsibilities. With enough interest, each ten week session, in addition a fun for all session inviting everyone to participate, would cost between $95 and $115 for the 2 1/2 month program. We’d like to offer it three times a year, with a break in the Summer or Winter session each year. There are no other additional fees, other than the purchase of ballet shoes for each child. Should we be able to host the program, children would share a short dance with all our families and friends during our Costume Parade and again during our Spring has Sprung Picnic each year.